The "Founder's" University Mug. 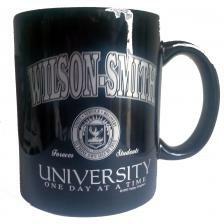 The perfect, subtle statement that you are forever a student at "Wilson-Smith University". Printed on a Black Mug.